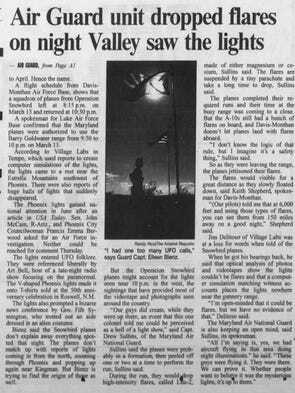 Did Hollywood actor really see the Phoenix Lights, (UFOs as some would claim, some would say flares aswell)? 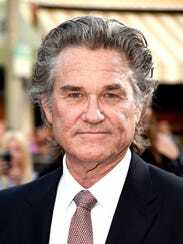 Kurt Russell, the Hollywood movie star, claims he saw UFOs over Phoenix Arizona. 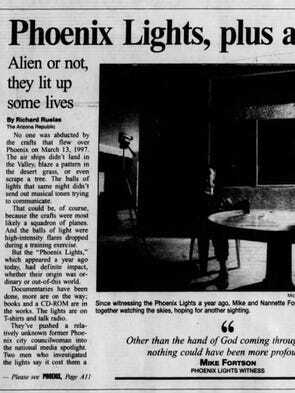 And not just any UFOs, but the ones that have become celebrities in their own right: the Phoenix Lights. 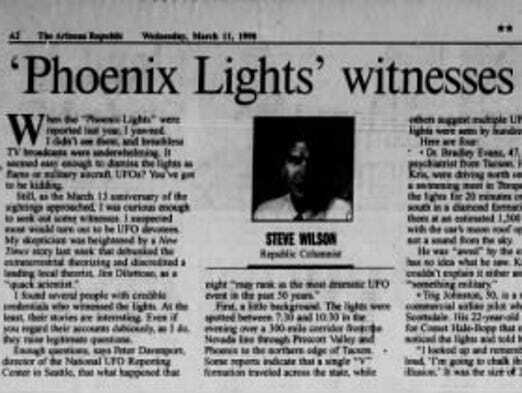 Kurt Russell, during an interview on the British Broadcasting Company (BBC) said he was flying his private plane (he's a pilot by the way) into Phoenix, AZ on March 13, 1997, when he spotted the lights soon to become the phenomenon that came to be known as the Phoenix Lights. 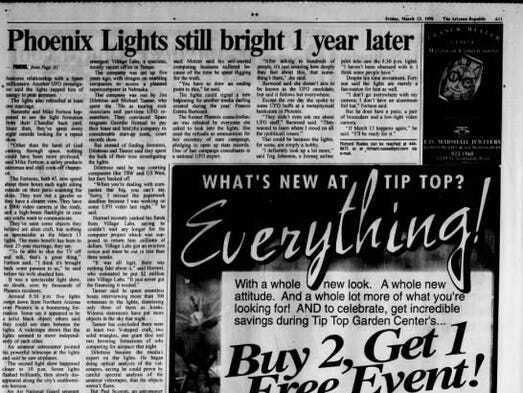 Russell, a licensed pilot, reported the lights to the control tower at Phoenix Sky Harbor International Airport and, if his story is true, may have been the first person to officially log the sighting. 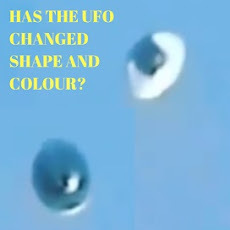 The lights have been the subject of speculation and debate in the 20 years since they appeared. 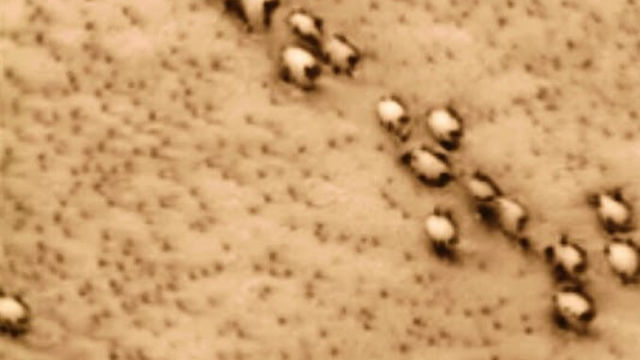 That was aided by the fact that rational explanations for the lights did not surface until July. 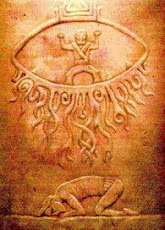 By that time, the notion of them being mysterious objects had already taken root. 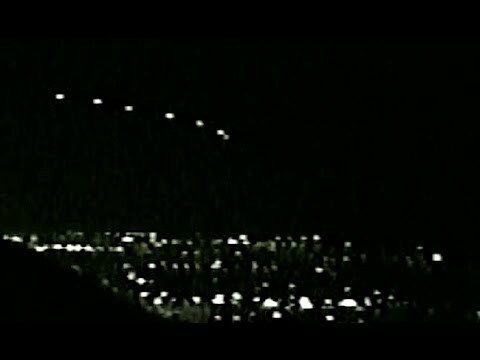 Most people who witnessed the lights reported seeing a V-shaped formation fly from north to south over the city, roughly following the path of Interstates 17 and 10, starting around 7 p.m. The lights created a murmur of coverage locally when they happened. 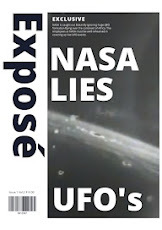 But that June, USA TODAY put an artist's rendering of the lights on the front page. 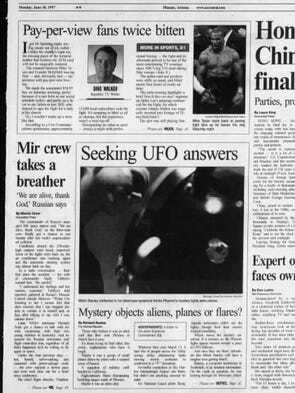 National news outlets followed up with their own stories and a star UFO sighting was born. Russell, who plays an extraterrestrial visitor to Earth in May's "Guardians of the Galaxy Vol. 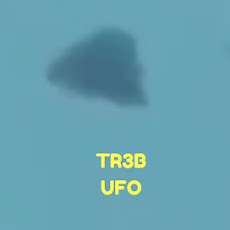 2" apparently saw the V-shape as he was flying into Phoenix with his son, Oliver, on the night in question. 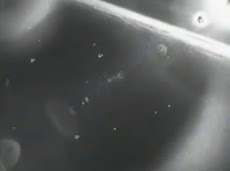 He was about to land, he said, when he saw six lights over the airport. 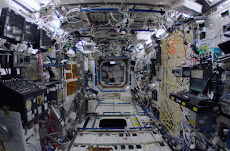 “Absolutely uniform V-shape,” he said on the BBC’s “The One Show.” The interview was taped in April as Russell was promoting the movie, one in which his character, the godlike "Ego," travels in a highly advanced spacecraft. Phoenix radio station KTAR reported the tale this week, noting some unanswered questions in Russell's account. 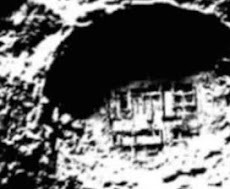 Russell said his son asked what the objects were and Russell said he didn’t know but would report them to the tower. 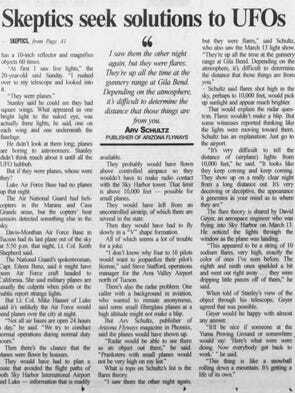 He said the tower responded that instruments didn’t show anything like that in the sky.